This lecture focus to presentation on Risk Management. 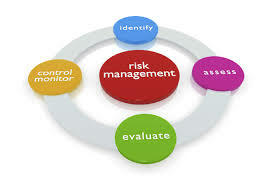 Risk management is the identification, assessment, and prioritization of risks as well as coordinated and cost-effective application of resources to minimize, monitor, and control the actual probability or effect of unfortunate events or maximize the conclusion of opportunities. Essentially, risk management takes place anytime an entrepreneur or fund administrator analyzes and tries to quantify the potential for losses in an investment then takes the proper action given their own investment objectives as well as risk tolerance. Inadequate risk management may lead to severe consequences for companies along with individuals.